Turmeric is a highly demanded and used spice that is especially known for its nutritious and therapeutic properties. It is also a staple ingredient of many dishes. We offer Turmeric Powder, which is manufactured using dried turmeric, which is later processed and tested by our qualified experts. Consequently, we have become a major Turmeric Powder Manufacturer, Exporter, and Supplier in national and international markets. 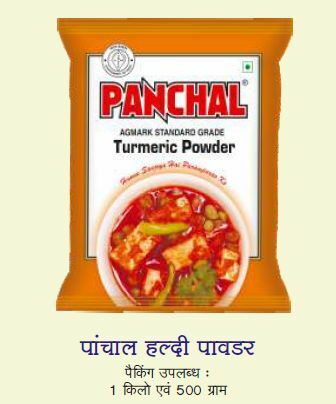 The clients can avail our premium Turmeric Powder in varied packaging according to their requirements, that too at very affordable prices.